Charles Lyell left a career in law to follow his childhood passion of geology. His most influential work, Principles of Geology, was first published in 1830. This museum holds a collection of tens of thousands of Lyell’s fossil mollusc shells, shark teeth and other vertebrate remains. As an influential 19th-century geologist, Lyell popularised the theory of uniformitarianism, which claimed that changes in the Earth’s crust over long geological time periods were due to the same processes operating in the present day. The present, he claimed, is the key to the past. In 1832, Lyell married Mary Horner, who shared his love of geology. Mary was Lyell’s partner in science, present in conversations with his friend Charles Darwin and helping Lyell during his fieldwork. They even went on a geological tour of Italy for their honeymoon. In the museum we have around 15,000 fossils collected by Lyell when travelling through Europe and North America. 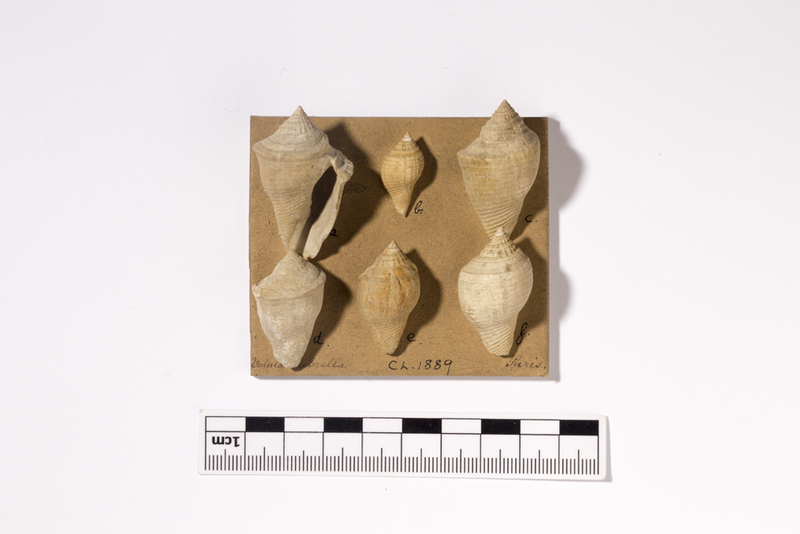 The majority of his specimens are mollusc shells, but he also collected many teeth and vertebrae of various species, as well as corals and horn cores. 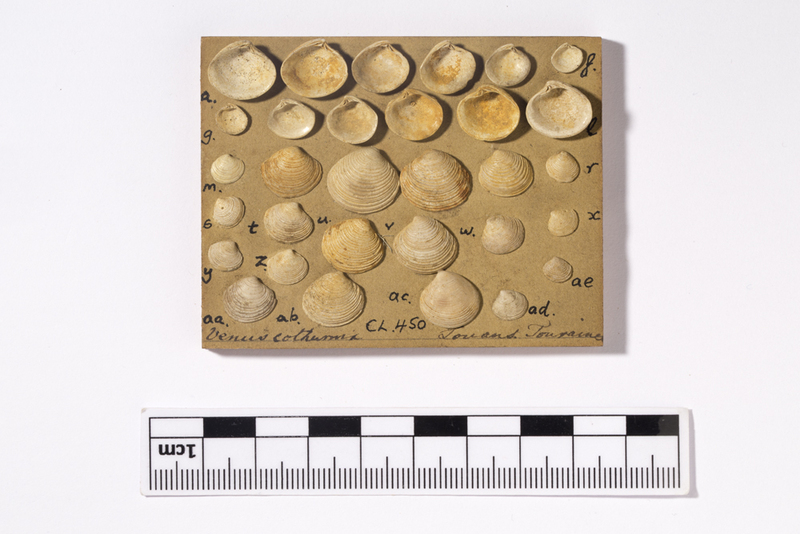 Some of the specimens are glued onto display tablets, possibly to show various features of the shells.